Normal maxillary premolar. Note smooth, sharp point. There is some inflammation of gingiva as the teeth were just cleaned. Old fracture of maxillary premolar tooth. Note the fracture site has been covered with a layer of tartar. 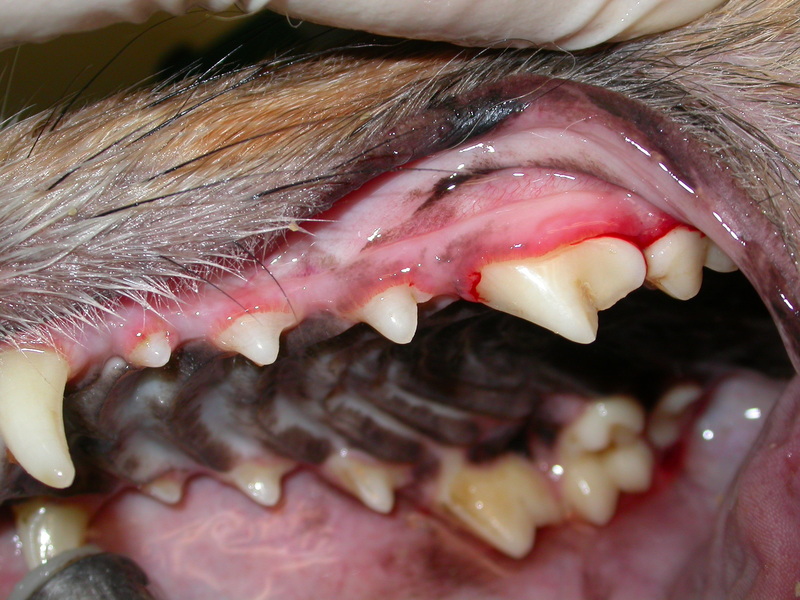 In recent years, I have noticed an increase in tooth damage in dogs presented to my practice in Palm Harbor, Florida. These have been caused by inappropriate chew treats, specifically, real bones, cow hooves and deer antlers. These treats have caused fractures of the large upper teeth, known as the maxillary premolar teeth. The fractures range from shallow chips of the tips to large slab fractures exposing the root. Sometimes the slab is held in place by the gingiva, or gum. Every time the poor dog chews food, the fracture separates, causing pain. Even the shallow fractures may expose dentin tubules which contain nerve cells. Tooth nerves only have one response to insult: pain. If the tooth pulp is exposed, the nerve will become infected and die. If caught promptly, a procedure called vital pulp therapy may save the tooth. Most often, though, the fracture is discovered on an annual physical exam after the pulp is dead and black. At that point, our only options are root canal therapy or extraction. Ignoring these fractures is not an option. A solution to lessen the risk for tooth fracture is to avoid overly hard chews. Ignore the signs above bins of raw bones in grocery stores touting “Recommended by veterinarians!” No veterinarian I know recommends them! When cow hooves were first widely distributed, we witnessed a surge in fractures. Now the new thing is antlers, which have been followed by a new wave of fractures. Avoid all these products. 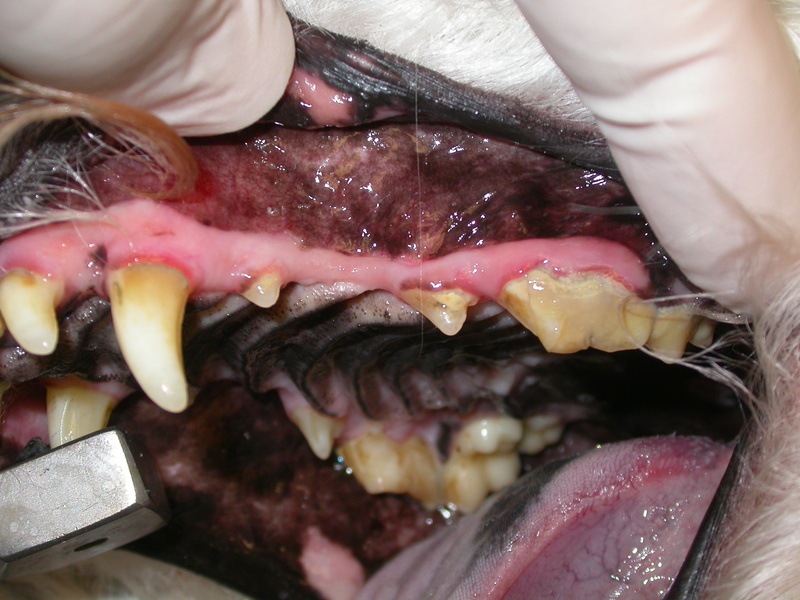 It is a good habit to roll your dog’s lip up and examine the rear teeth. This will allow you to gain a feeling for normal anatomy. If there is a change, have your veterinarian check it out right away.